This represents one of the core services divisions in Urban Dynamics. Indeed, the company was primarily established in response to the accelerated urbanization in South Africa, prevalence of vast numbers of informal settlements and need to address the structural poverty in the country’s urbanizing population. Few urban designers and town planners in the world have the in-house expertise and proven experience to plan and design complete new functional neighborhoods, new cities and blueprint urban renewal at the scale that Urban Dynamics can. In addition, the company offers these services within the financial limitations of capital subsidies or development grants. Township Establishment services are therefore a total focus on cost effective design aligned to capital investment in municipal services infrastructure, public transport orientated development and long term maintenance. Cosmo City - Located in the City of Jo’burg, this project is hailed as the first large scale, mixed income housing development in South Africa. 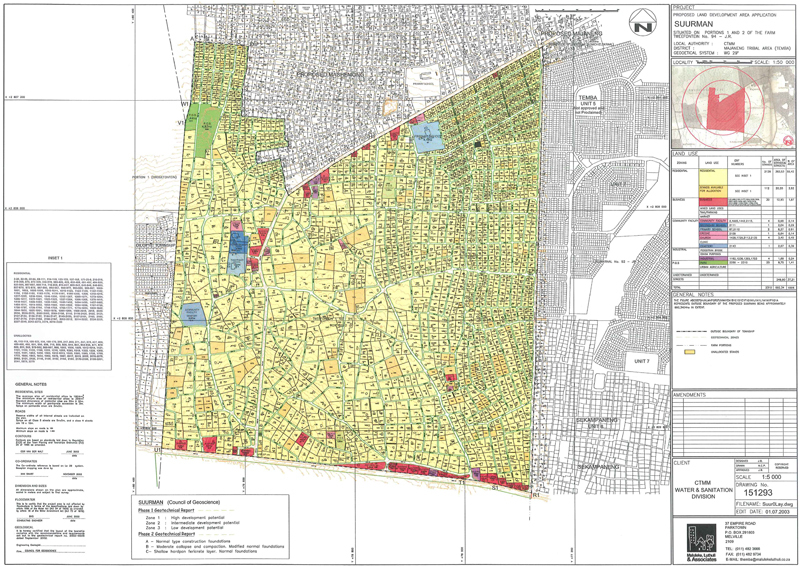 Phase 1 totalled some 12 000 residential units. Lufhereng (Doornkop) - the western extension of Soweto, Johannesburg. This project was designed and is being implemented based on the principles of the "Breaking New Grounds" policy of the National Housing Department. Lufhereng totals some 23 000 family units. 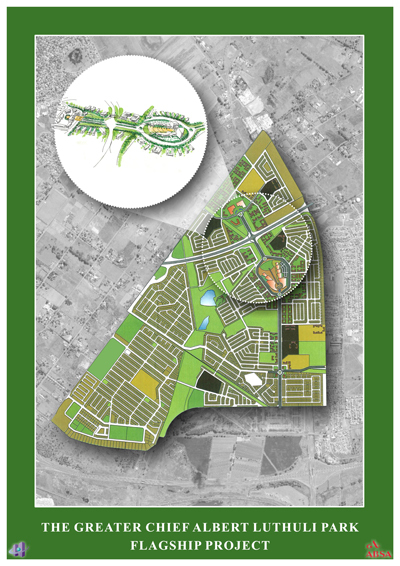 Southdowns Estate - A high income housing development in Centurion (City of Tshwane) that included a shopping centre, private school, Sport and Art Exchange (SAX Academy) and integration with the historic Irene Country Club and Irene Dairy Farm. 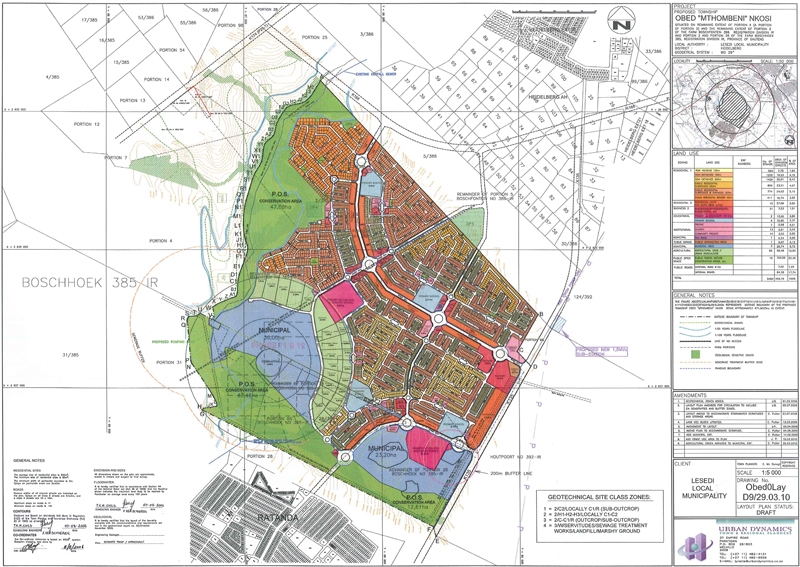 Longlake Estate (Isidleke) - A mixed land use project for Heartland Properties (AECI) in Modderfontein, Sandton including some 2000 residential units, the formalization of the Isidleke Conservation Area as well as extensive office, light industrial and commercial components. 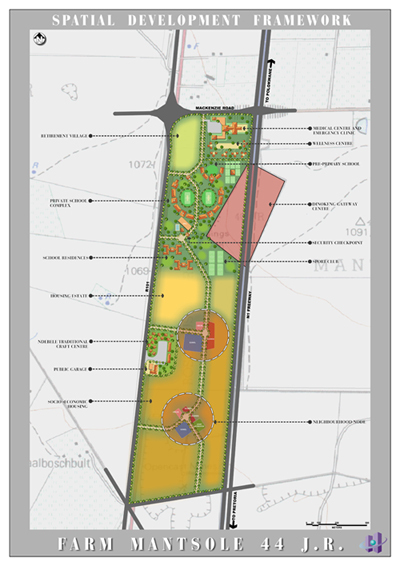 Kliprivier Business Park - A 160 Ha commercial and industrial estate along the R59 corridor in Midvaal, Gauteng. 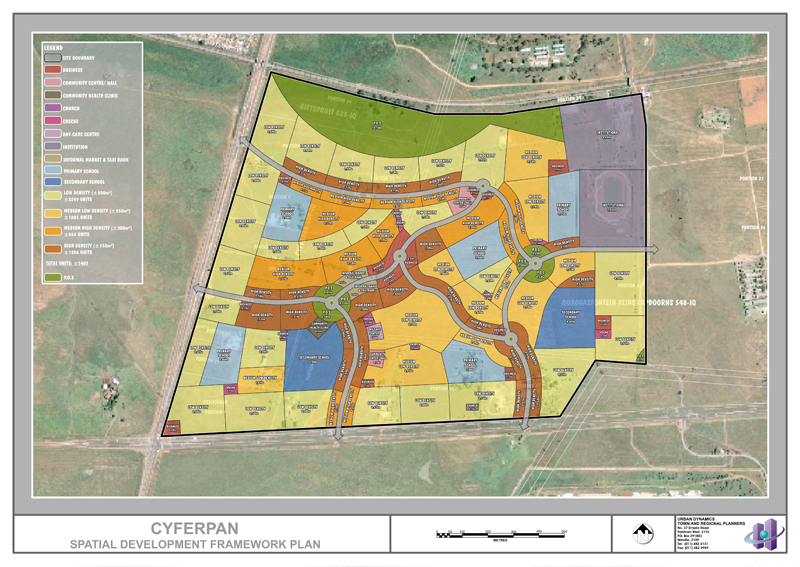 Byl's Bridge - A large modern office park development in Centurion (City of Tshwane) along the N1 Economic Corridor. 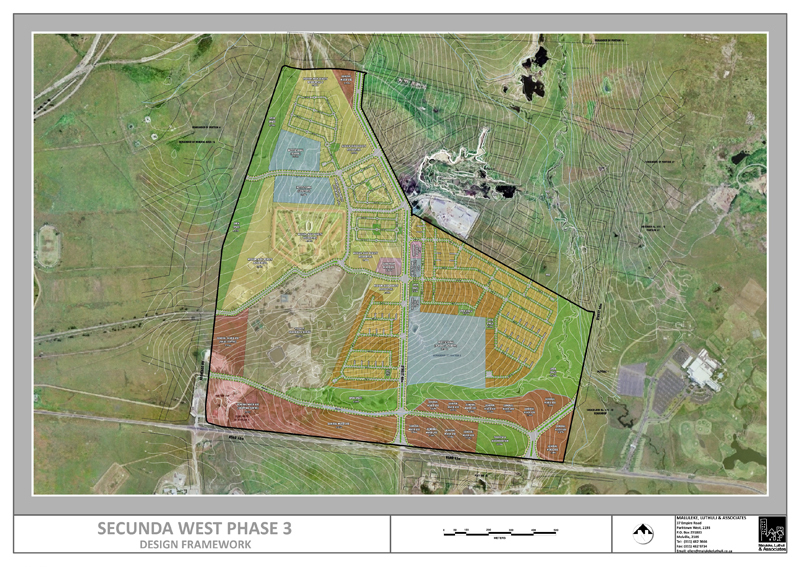 Gilliemead - A 130 Ha commercial and industrial development along the R21 corridor between Pretoria and the OR Tambo International Airport, Gauteng. Jeddah Hills - An urban design framework for the Jeddah New City including an area of 22 000 Ha and a long term development capacity of over 20 000 families. The project was completed for Emaar Properties in Dubai. Waterberg Estate - A Big 5 wildlife estate development of 820 units in the Bela-Bela area, Limpopo Province located on a land assembly of 4 separate game farms totaling 5200 Ha. 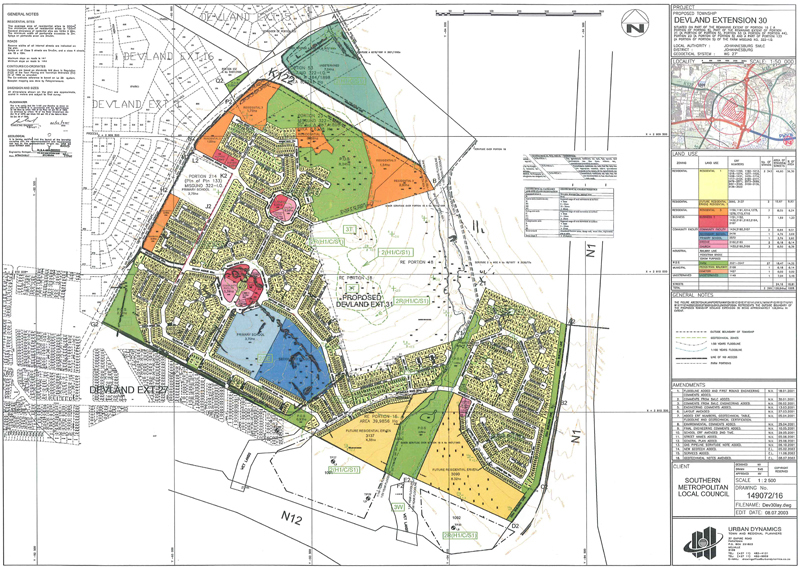 This development included an 18-hole Gary Player-designed championship golf course. 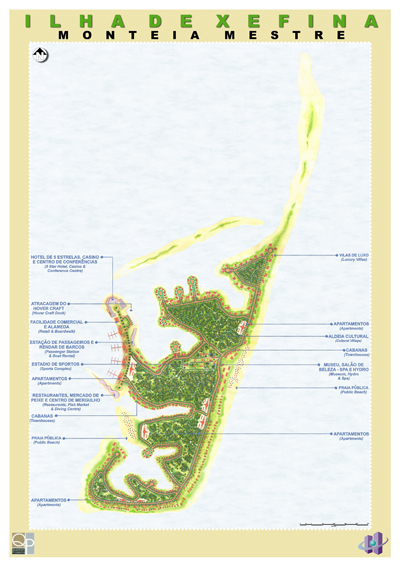 Ihla Xefina Grande - Town Planning and Urban Design for a 150 Ha resort development on an island located 3km from the "Sunshine Coast" - Costa da Sol of Maputo, Mozambique. The development included a resort hotel, casino, small craft harbor and promenade. 11. Devland Extensions 7 000 Golden Traingle Dev. Co.